Cala Llonga is one of the most exclusive residential areas in Menorca, famed for its elevated South-facing water views and stunning sunsets. By day, relax on one of the many terraces, enjoying the beautiful pool (with colour changing light at night) and barbecue, and watching the world go by in the harbour - By night enjoy the magical evenings with the lights from Es Castell twinkling on the water. 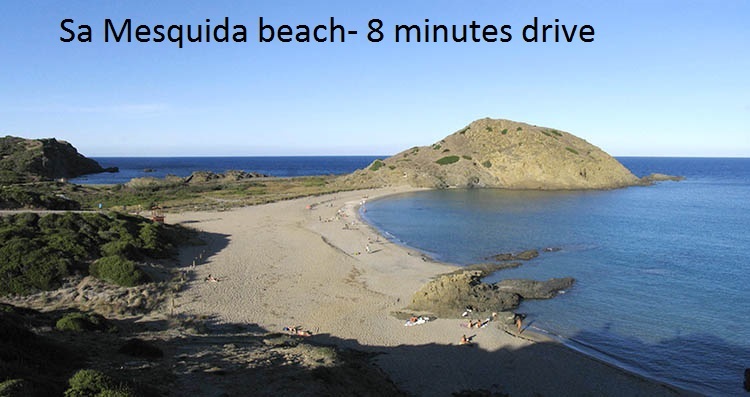 Cala Llonga has a small supermarket and a well respected family restaurant a few minutes drive or a 15 minute walk away, or the bustling port town of Mahon is just 10 minutes away with numerous shops and waterfront restaurants. A water taxi runs from Cala Llonga over to Cala Fonts- at times to suit you, late into the evenings should you not want to drive. fishing village of Es Grau, with yet another stunning beaches and several delightful little bars and restaurants overlooking the sea. Two master bedrooms with en-suites bathrooms, with private terraces overlooking water. Double beds. Air-conditioned bedrooms with ceiling fans. One double bedroom, twin beds. Airconditioning. Fully equipped kitchen with dishwasher and washing machine. Sunroom with huge tinted glass windows overlooking the harbour. Mezzanine inside dining area off kitchen. Sitting room with UK TV leading to terrace and pool. 2xCovered terraces with dining areas.